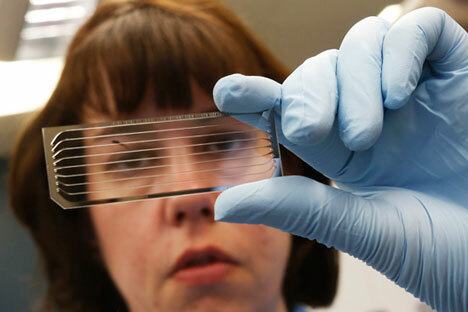 DNA testing will soon reach mass-market availability in Russia. The number of clients of companies that provide genome research services is growing at a rate of 100-120% per year. In late September, a new project of the Atlas Biomed Group will reach the market. Perhaps most surprising is that all of this is happening in a country where geneticists were persecuted and imprisoned as recently as the Soviet period. Russians are mostly interested in health-related testing because genetic research is expensive and people are not willing to spend money simply to satisfy curiosity. However, there are clients that are interested in genealogy testing. It was not that long ago that a notorious Russian politician did a haplogroup test. "We found out that he had common ancestors with Napoleon, Einstein and Hitler,” Valery Ilinsky, Director of Genotek told RBTH. “He was proud of it and told other politicians that Napoleon was his relative."